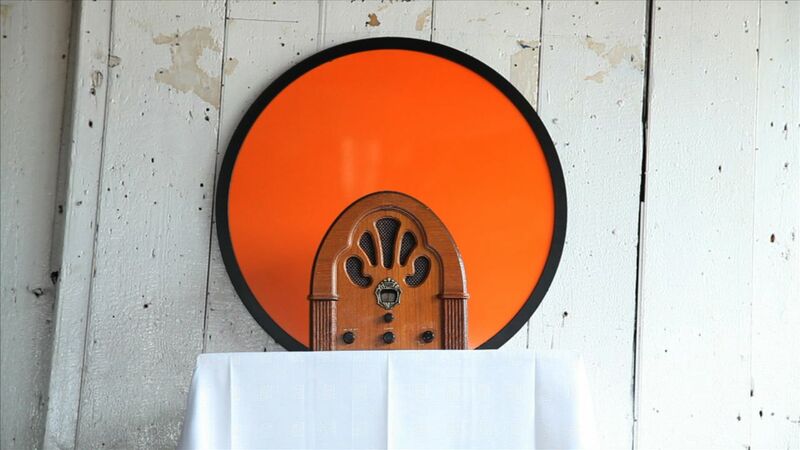 The idea behind Babble station continues with the theme of the possible futures of FM radio, in this case the spectrum would be used for baby monitors and what that would sound like. Radio promotes the semiotic aspects of the voice via the musicalization of speech. A point of view drawn from (Hill, p12) reading of Rudolf Arnheim (1936) work which describes radio as “developing to a further degree our feelings for the musical elements of speech and all sounds” (p42-43). There is an innate communicative musicality to infants pre speech utterances and one I wanted to explore. Infant sounds like dead air are not often broadcast so a station that took this to an extreme and was the future of the medium appealed to me as a playful way of examining these relationships. Babbling is universally defined by (Dolar, 2006) as the presymbolic use of the voice, as Dolar point out “In fans” literally meaning “the one who cannot speak”. 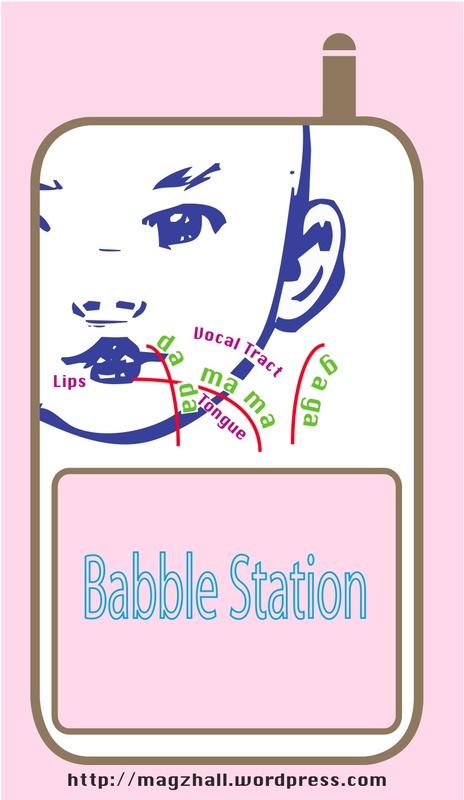 Research indicates that babbling is structurally and functionally related to early speech. Locke argues (1996) “that when variegated babbling emerges, a consistent relation is identified between vocalizations and specific communicative functions (i.e., protest, question, and statement).” As a parent it is easy to learn this pre language, tone, pitch speed and sounds do express meaning from happy chirps and beeps to distressed calls. The Babble Station recordings made at the workshop were used as part of a micro broadcast installation at the site on the 16th September. Parents with young babies and toddlers of all social and racial groups who visit Whitstable form Canterbury and beyond were invited. The project was about recording pre speech utterances from a group inclusive of race and gender and a group often ignored by sound arts iniatives. Infant voices are rarely broadcast. 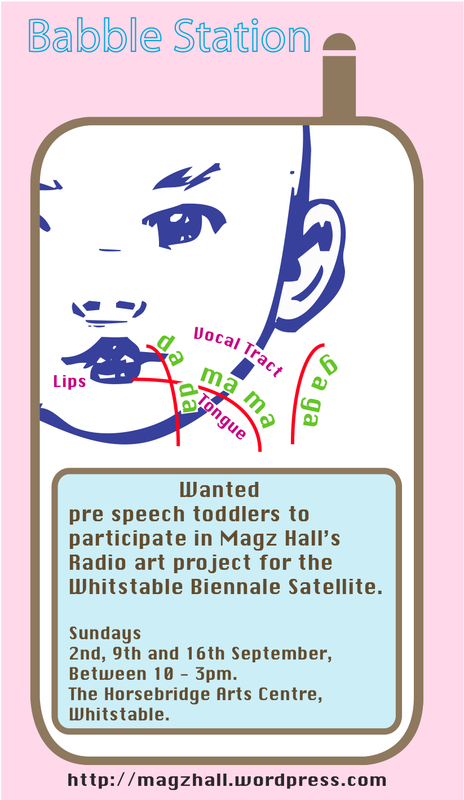 I can only think of three shows all aired on community arts station Resonance FM where infants were with their parents as they presented. Caroline Krabbel radio show which aired for nearly five years called Taking a Life for a Walk , she would push her infant son then daughter around London and play sax she would also get listeners to phone her in phone boxes to make feedback, one of the highlights of the show for me. The mostly sleeping childs voice though was never in the foreground and rarely heard. Ben Watson Late Lunch brought his child Iris to the studio and her voice and interactions were embraced as part of his polemical show and The Hello Goodbye show, the presenters regularly had young children in the studio adding to the general chaos. But there have been no radio shows as far as I know where infants voices took centre stage. 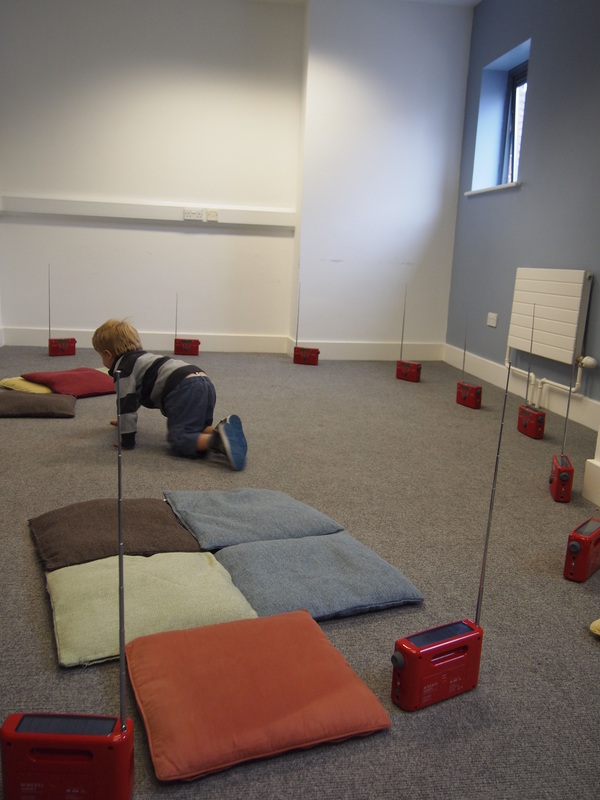 Having the workshops made it easier for parents to take part and the resulting broadcast installation was interesting as it was far from torturous but sounded like an invisible or ghost nursery I was particularly happy with how it sounded spacialised on twelve radios around the room using four transmitters. Babble station workshops were held at the Horsebridge Arts Centre Whitstable part of the Whitstable Satellite on Sundays 2nd, 9th and played back as work in progress on 16th Sept 2012.